7h30 a.m Our tour guide pick you up from your hotel, then transfer to the City of My Tho by bus. During 1.5 hours bus drive to My Tho join activities of local people and enjoy nice scenery of green rice paddy fields. We visit Vinh Trang pagoda - biggest pagoda in Mekong delta. Continue going to My Tho, where we take a boat trip along Mekong River. 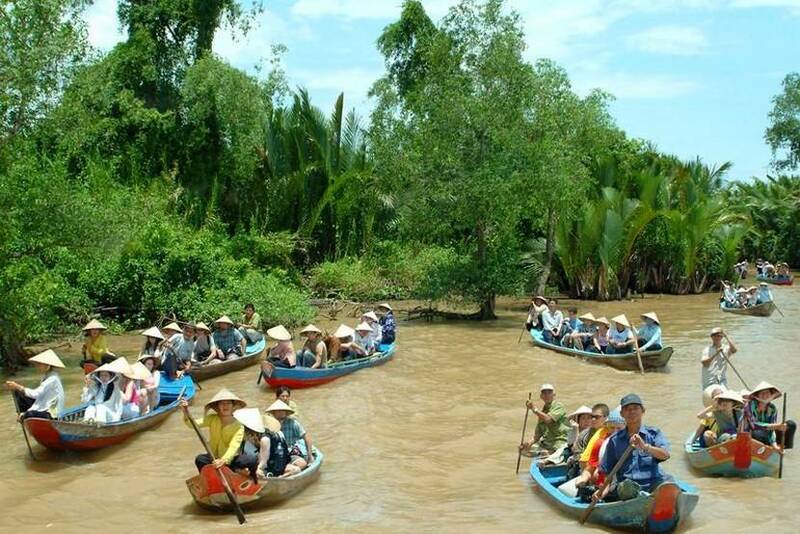 During a boat cruise along Mekong River, you can see fish cages, floating houses on the river. The boat take you to small canal, where is the place you totally escape from the busy town. 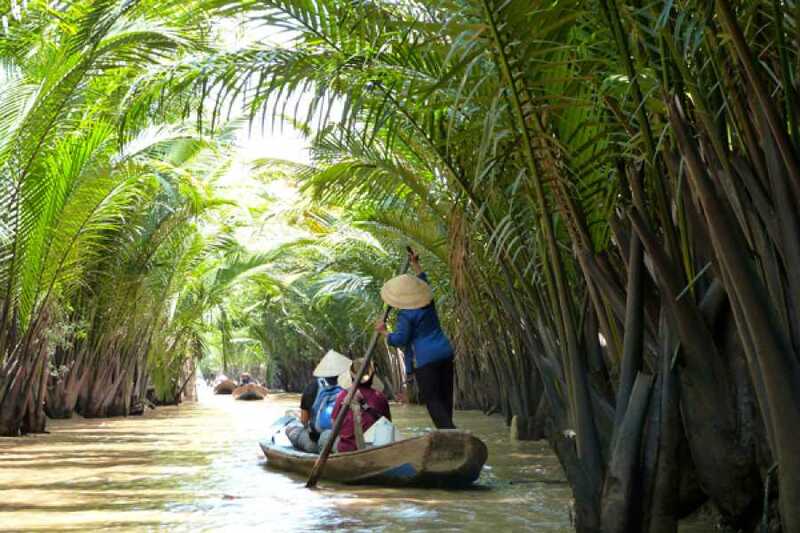 The boat cruise in the coconut trees canal takes you to a coconut island in Ben Tre. We disembark and have a walk around the village. 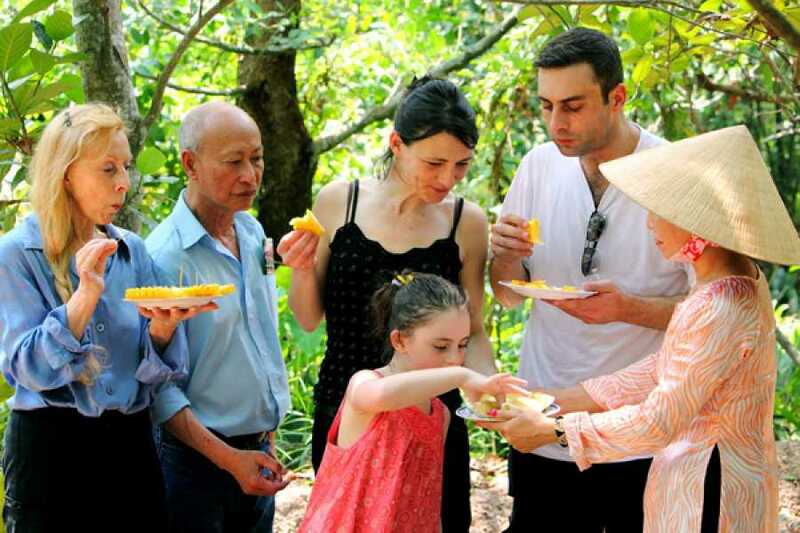 Stop at a local family to enjoy tropical fruit, taste honey tea, honey wine and listen to Vietnamese traditional music, performance by the villagers. 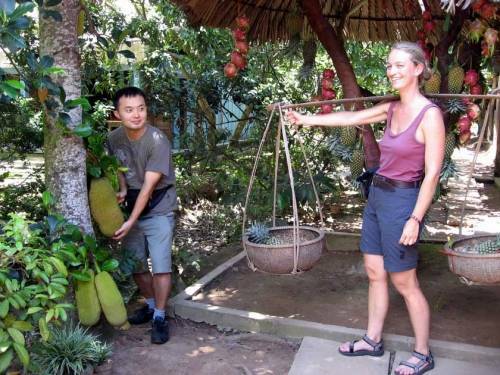 Continue walking on the village’s road to coconut candy shop, learn how to make candy, show some handicraft made by coconut tree. 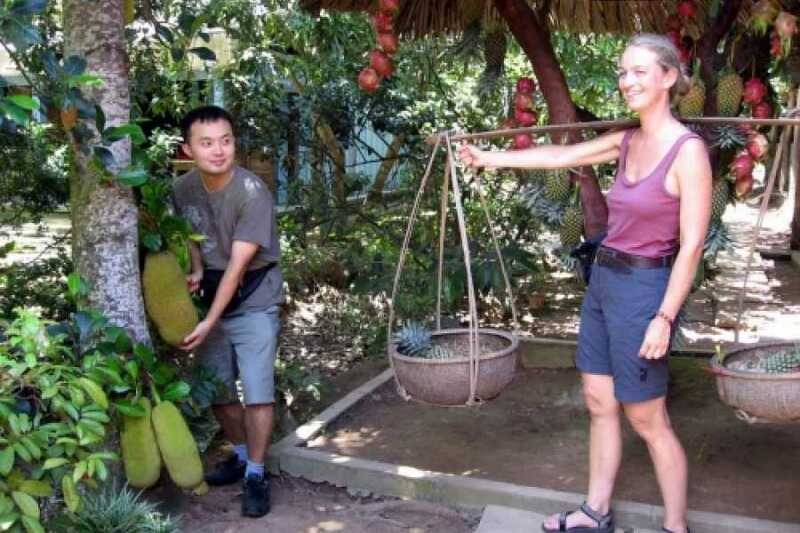 Take a walk through village with two sides there are so many kind of fruits, flowers, trees, local houses, children in Mekong delta, take your time to have nice photos and enjoy nature scenery. Then, we head to the local restaurant. Lunch is set with special Vietnamese food at here. Enjoy lunch under tree shadow you will feel the life is so beautiful. After lunch you relax half an hour to walk around the village or biking, travel on the river to back the ferry, transit to the bus back Saigon, arriving in Saigon at around 4:30pm. Tour ends with the sweet memories.